MADE Fair Montana teams up with the Western Montana Fair, August 7-12, 2018. The new MADE Fair Marketplace at the Western Montana Fair will showcase over 65 artisans per day in the historic Commercial Building. Local & regional artists and makers are encouraged to apply to be a part of this new endeavor and will be juried by a panel to make sure the curated collection of artisans represent Montana’s best of the best. In addition to featuring artists, there will be three additional booths: a local non-profit, an artist in residence, and a make & take zone. 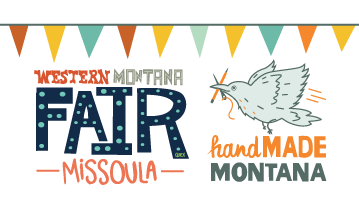 This new partnership represents the latest move in a commitment to quality programming for the Western Montana Fair, connecting local and regional artisans to Fair stakeholders in a fun and meaningful way. As site redevelopment begins, this partnership reaffirms the Missoula County Fairgrounds as an important cultural center in Western Montana. As with the Fair itself, the MADE Fair Marketplace will be free admission every day with lots of shopping and interactive activities. Applications for all Fair vendors are now open.